Business process solutions can greatly enhance the ability of an organisation to compete successfully. To do so, these solutions need to be implemented and improved quickly and safely as the organisation innovates, and their performance need to be managed to maximise return. This is the goal of Application Lifecycle Management (ALM). BPSE helps customers to develop an ALM Strategy and to implement optimal ALM processes for managing change and performance. We have found that the large toolbox of ALM tools makes it difficult to determine how to quickly unleash benefits. In addition to determining best fit long term ALM strategy, a meaningful implementation roadmap needs to be developed that ensures quick wins as well as long term excellence. BPSE provides ALM Strategy and Roadmap services. Organizations can often take advantage of ALM processes or tools that are easy and quick to implement. A long term ALM strategy ensures that further opportunities are pursued to improve the management of change and performance. Visionary organisations innovate to make their systems smarter and to enable their workforce. Good change management is required to enable organisations to innovate quickly and safely. 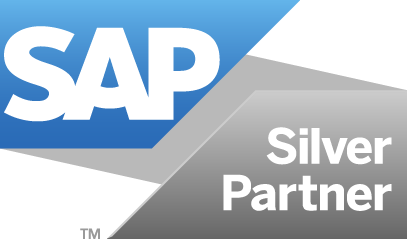 BPSE provides advisory and implementation services for managing change using SAP Solution Manager, IntelliCorp LiveCompare and LiveModel, HP Quality Center and SAP Workforce Performance Builder. Effective management of change approval ensures that relevant stakeholders are directly involved in the process. Change implementation processes that integrate software logistics and solution documentation ensures a coherent foundation for operating the solution. Meaningful solution documentation that is integrated into change and operational processes increases efficiency and solution quality, and reduces risk. Test scoping and automated testing that leverages integrated solution documentation reduces risk and avoids unnecessary effort. BPSE provides advisory and implementation services for managing the operation and performance of a solution using SAP Solution Manager, IntelliCorp LiveCompare and LiveModel, and SAP Workforce Performance Builder. Proactive monitoring of databases, hosts, application systems and geographic locations minimizes the number of situations that result in a business-visible incident. Proactive monitoring of business process throughput and backlog provides early warning and opportunities for improvement. The integration of incident management into technical and business process monitoring - and into solution documentation - supports efficient resolution. The SAP Solution Manager toolset provides opportunities to reduce inefficiencies managing the impact of problems and identifying the root cause. Contact us to discuss your ALM strategy, roadmap and implementation needs.